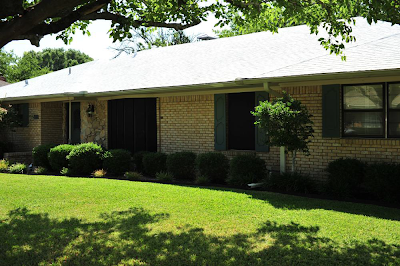 I've received reports from two people now who have applied a coating of reflective white hydrated lime to their roofs in order to lower attic and living space temperatures and reduce cooling costs. While you might expect the lime to wash off in the first rain, it does not, and appears to last for several years. It is cheap, readily available, and easy to apply. According to David and Wolfgang it is quite effective in reducing attic temperatures and AC bills. 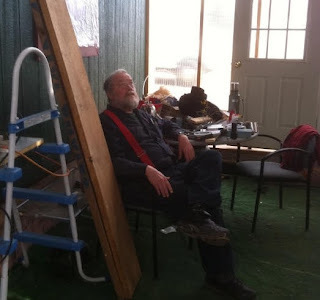 David reported on his white roof experiment back in 2010. - House temperature with AC off 87F to 92F before, and 79F to 82F after coating. - Attic temperatures before 120F to 140F, and 90F to 97F after coating. This has resulted in much less AC run time. Wolfgang after looking at a number of potential coatings for his roof decided to give the hydrated lime a try. The house is located in Texas. If the hydrated lime is not appealing, there are commercial white coatings available that can be applied. I'd like to hear from anyone has tried one of the commercial coatings. DIY solar air heating collectors are one of the better solar projects. They are easy to build, cheap to build, and offer a very quick payback on the cost of the materials to build them. They also offer a huge saving over equivalent commercially made collectors. Two of the more popular designs are the pop can collector and screen absorber collector. The pop can collector uses columns of black painted pop cans for the absorber with the air pumped through the columns. The screen collector use 2 or 3 layers of ordinary black insect screening for the absorber. The air flows through the layers of screen to pick up the solar heat. 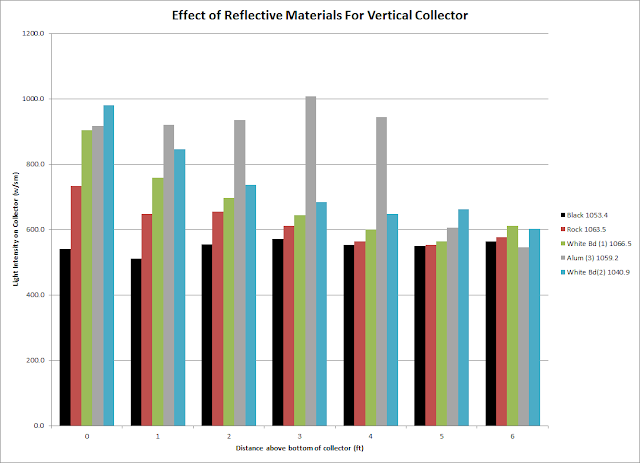 In this test, a pop can collector and a screen absorber collector are run side by side with the temperature rise and airflow being noted for each. There are also details on building each of the collectors and on the cost of materials. 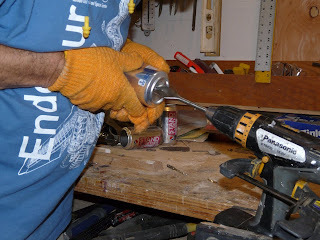 Building the pop can collector. In addition to measuring temperature rise and flow, thermal images were taken of the collector glazing and absorber. 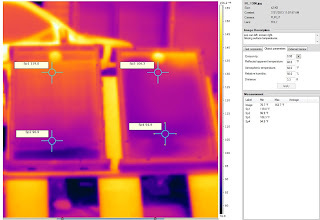 Thermal image of glazing on the two collectors. This is Nick Pine's new blog site. Nick is a long time solar and renewable energy analyst, designer and innovator. He is posting solar and renewable energy questions along with answers that include a full analysis. For several years, Tom Gocze hosted a TV show in Maine called Hot and Cold TV. 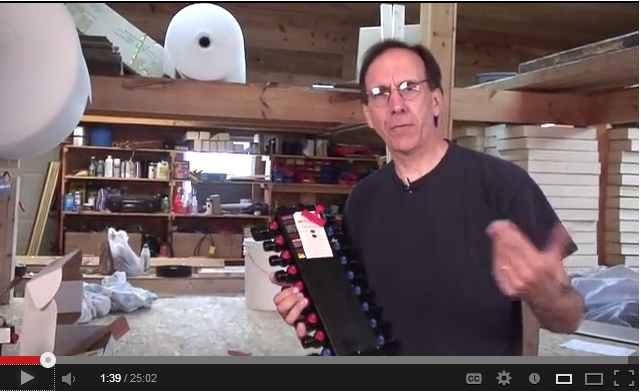 In each show, Tom goes into a project of interest to DIYers. Often the topics are renewable energy related. The shows are factual, down to earth, practical, DIY oriented, innovative, and often funny -- a hard to beat combination. The unfortunate thing was that if you did not live in Maine the shows were not available. Now that has changed -- Tom has started a Youtube channel for Hot and Cold TV and has put up a number of the past shows with more to come. 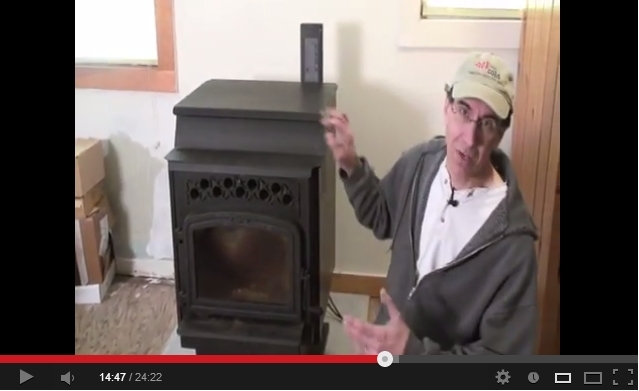 Tom covers the ins and outs of picking a good used pellet stove. I like my 100 sqft vertical collector that is integrated with the south wall of the house. It provides our solar water heating and also some solar space heating. It provides excellent performance all winter, and does not have any tendency to overheat in the summer. The boss says it looks nice. 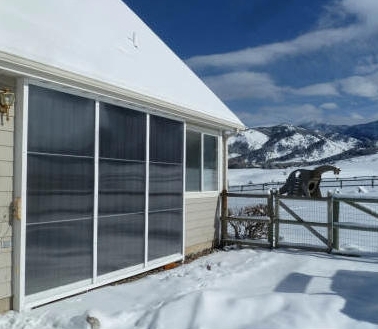 The one downside of this collector is that in the late spring, the sun is getting up higher in the sky, which reduces the effective area of the collector, and there is still some need for space heating. So, it would be nice if it could put out a bit more heat in the late spring. 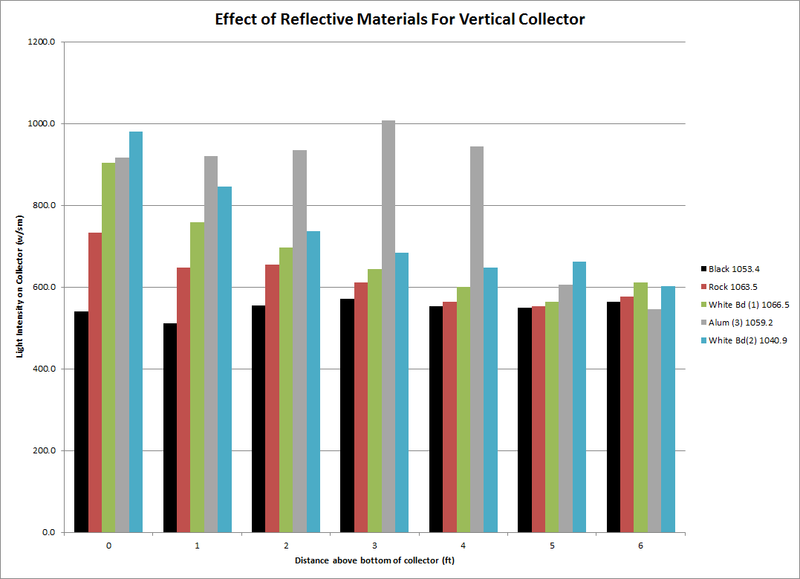 This test looks at adding several types of reflective material on the ground in front of the collector to improve late spring and summer output. A near horizontal ground reflector works well under these circumstance because the sun is hitting the collector nearly straight on. The reflective materials include bright white rocks, a white painted reflector board, and at a flat board covered with highly reflective aluminized Mylar. The results for each of these was measured -- the chart at the end shows how the did. The radiation intensity was measured at each of the blue tape squares on the collector. The aluminized Mylar reflector was made by just applying the Mylar film over the white board. This chart shows how the materials compared. The first black bar is a baseline and was done with black weed fabric on the ground in front of the collector. As expected, the aluminized Mylar does the best, but the white board also does well, and even the white rocks provide some useful gain.